Circulatory System of the Human Body. 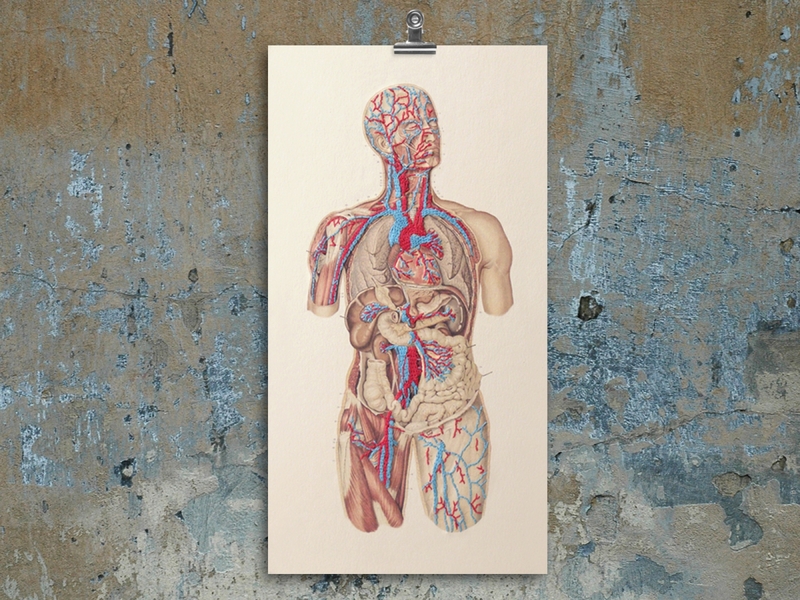 Anatomical Art. 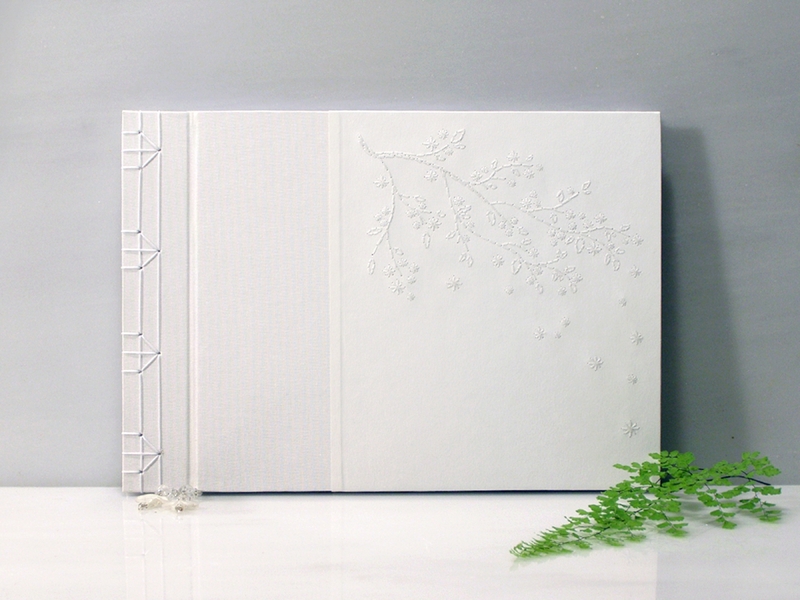 Paper Embroidery. 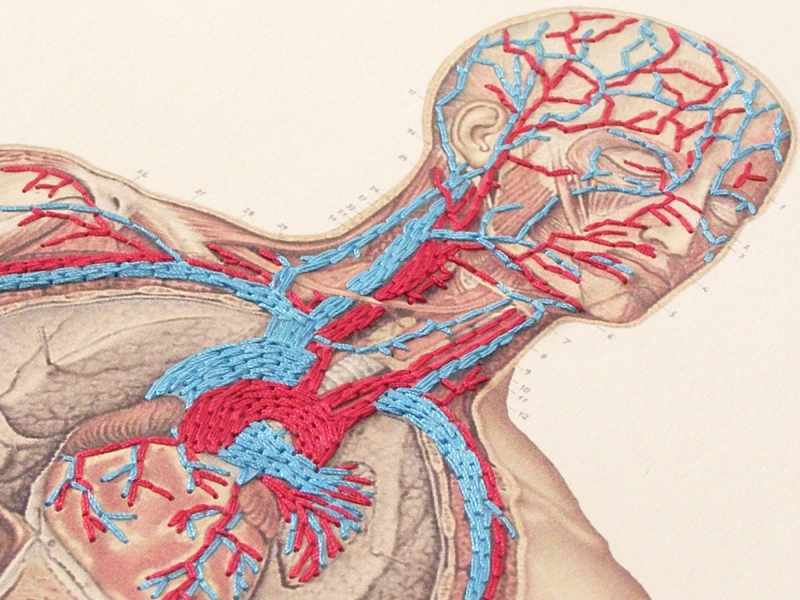 Hand embroidered vintage Anatomical print, showing the Blood Circulation of Arteries and Veins on the Human Body, in great detail, with red and turquoise cotton threads into an ivory card stock. Dimensions : 29cm x 15cm 11.41 x 5,9 inches. You will receive the item as you see it in the last photo.